What do I mean, depression is like burnt toast? 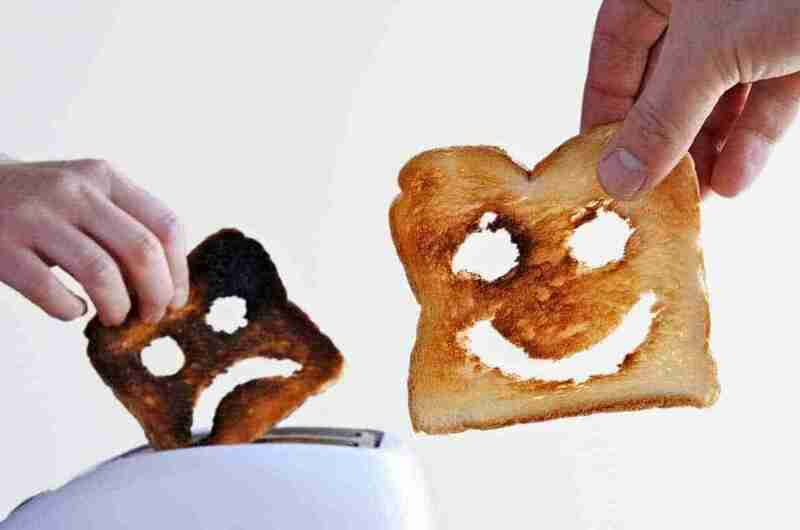 I know you might be thinking… how is depression like burnt toast! Please let me explain…. Last year, I put some toast in the toaster and it blew my electrical fuse. A friend suggested I empty the crumb tray as that might have caused the problem. So I did that and used it again. I had a working toaster again for a few months. Until it happened again. I had been emptying the crumb tray regularly as suggested by my helpful friend but this time I just didn’t want to risk keep using it in case it did some real damage to my electrics. So I found a way to get around it. I started using the grill on the oven instead. The problem with this is that grilled toast needs watching and with other things to do I would often end up burning the toast which caused problems! So yes, I know it sounds like I’m moaning a bit and I certainly didn’t lose any sleep about it, but this did go on for months and I could have done something about it much sooner! I just needed to take action. I’m not sure why I didn’t do anything sooner. Maybe life got in the way or there was just too much choice of toasters so I couldn’t decide which one to get. All I know is that it caused me irritation many times when it didn’t need to. One day I was in Asdas and I saw a toaster which I knew would look good in my kitchen. I had a read of the features and liked what I saw. 4 slices could be cooked at once, you can cook from frozen wow and it even takes bagels due to it’s extra wide slots! So I bought that toaster and me and the toaster have lived happily together ever since. 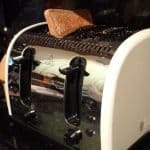 I won’t say it’s changed my life but it does cook the toast perfectly and very quickly. And I just love a bit of brown seeded with peanut butter. So how does this relate to depression? How much burnt toast are you going to put up with? I want you to know that you do have more control and possibilities than you think. Please do get in touch if you would like a free consultation. Yes! Even though I don’t suffer from depression, I feel this way even with staying on top of my self-care, which helps me stay on top of my moods. Great article.